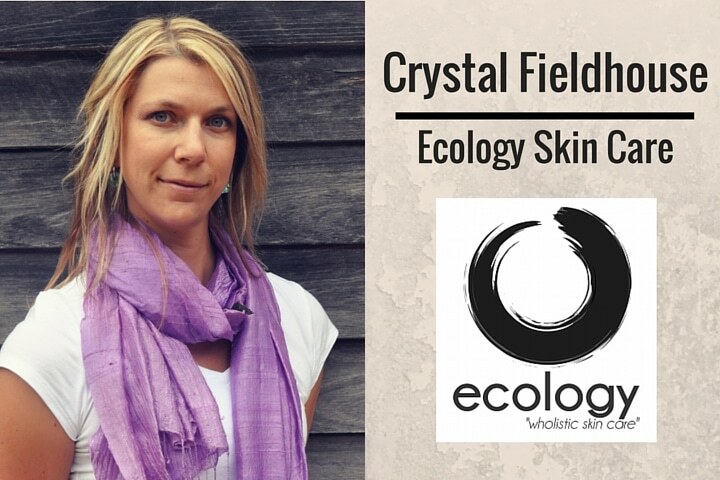 Guy: This week we catch up with the lovely Crystal Fieldhouse, founder of ecology wholistic skin care. Crystal is a podcaster, mindfulness leader and real food advocate with super sensitive skin and a history of adult acne and eczema. I have incredibly sensitive skin myself and a history of eczema and dermatitis for over 15 years, pretty much since I was a teenager. Always it’s something that was really up and down and always something that I felt really self-conscious and embarrassed about. I feel like I’ve tried just about everything to either fix my problem of the skin or to hide it over the years. When I started eating to that paleo template that’s when my skin cleared up. I lost a bit of weight, I felt better, I looked better, had more energy, and of course the acne and eczema cleared up which was great. It was logical progression to then look at what I was putting on my body as well as in my body, and to effectively pick up that paleo template and apply it to my skin care products. [00:05:00] It’s interesting you say that because I think anyone that walks into this world or they might make the health-food connection initially. There’s so many rabbit holes that you start going down so you start looking at your food first. We’ve done this on this podcast. We’ve looked at EMF, we’ve looked at brain science, everything. This takes me back to when I was a teenager because I didn’t even think skin until I was 13, 14, and then I started to breakout around my face and thought, “What is going on?” It just got progressively worse, and worse, and worse, and worse, and it ravished my teenage years. I went to the doctors, and I think I was on antibiotics for about five years. What on earth that did to my gut bacteria, probably wiped that out, decimated it, it’s like a nuclear bomb going off in my gut. Nothing seemed to help until I did one thing only. Guy, what was that one thing, can you guess? I eliminated dairy from my diet. Back in the day I had cheese and pickle sandwiches, I love pizza, I had cheese on them, cheese on toast, all the great stuff that we used to eat when we were younger, but I pulled dairy out of my diet. Done. Where’s that connection? Seriously? All of the time, and energy, and effort, and worry that we put into going to the doctors, and pills, and nothing’s working. Just insane. My question to you Crystal is, in your world, how common is sensitive or problem skin right now? [00:07:00] That’s a great question because it’s not just me and it’s not just you, it is really common. Surveys in the US, in Europe, in the UK have shown that 52% of women and 38% of men identify with having sensitive skin. It’s around a third to a half of us. Lots of people react to various skin care products. I don’t know, do you still have sensitive skin now Stu? I do have sensitive skin and I think because of where I’ve come from, I’m fearful of applying anything to my skin. I’ll use an electric razor now because it seems better for me than just scraping my face with an old school razor. A little bit different now because I live over this side of the world in terms of I’m in the ocean everyday so I’m getting lots of salt water and get sunshine. That tends to help, but my diet has been radically changed over the last five or so years. Again, we’re following the whole food philosophy: loads of water, no processed food and nourishing ingredients. That does help. Yes, still have sensitive skin. It gets a little bit oily sometimes but dry at the same time. I’m going to pick your brains about what I should be doing later on. If were going to all that effort to sort really high quality whole foods and organic foods, it makes no sense to keep washing our bodies and spraying, and moisturizing it with chemical … Find a natural chemical-free moisturizer that meet my personal standards and didn’t irritate my sensitive skin. That’s why I spent 12 months researching and developing my own and that’s when the first Ecology Skin Care cream came about. [00:09:00] Natural isn’t always all it’s cracked up to be when it comes to skin care. I have a salicylate sensitivity so for me, coconut oil, and essential oils, and these really beautiful cold pressed oils like rose hip cause my skin to get really really red and rashy. It can be a bit of a mine field. In terms of problem skin as well, I don’t know, Stu did you deal with any adult acne? Guy, do you have adult acne at all? I haven’t. I’ve been quite fortunate. I have had sensitive skin in the past, but since I’ve changed my whole lifestyle over the last eight, nine, even ten years, I’ve noticed my skin improve. It also it seem better in the sun these days where before I used to get sunburned very easily. I have noticed a lot of changes to the skin just over that period of time. What are the common mistakes people are making when it comes to sick skin care initially? I’m assuming some people might even not look what’s in the product itself. I’m just assuming. [00:10:00] Yes, exactly. There’s lots of things that we do wrong when it comes to skin care. Most of it all boils down to doing too much. If we have problem skin, if we have acne, eczema, dermatitis we’re thinking, “What can I do?” If we’re worried about premature aging, those fine lines and wrinkles, we’re always thinking, “What can I do to improve my skin?” The reality is, we do too much. We focus so much on our skin, and our appearance. It’s something we look at everyday in the mirror, we apply beauty standards to our skin, and it’s pretty much the only organ that we do treat topically apart from the gut. [00:11:00] You got two blokes on the show, I’m talking about skin care for a start. I can appreciate the value of it and the skin being a large organ of the body, it needs to be treated accordingly. Do you find guys are sort of getting into this whole movement and actually looking up what they put on their skin? What would your advice be to somebody like myself and Stu that just couple of blokes go, “Oh, maybe I should do something without my mates finding out” or something like that. I’m sure Crystal’s got a really great high quality bag that you could put over your face. I’ve definitely nailed that one for you. As long as there’s holes in it so I can see you. I hope you’re happy. Certainly. The men’s category of skin care is the fastest growing apart from the natural category. There are so many guys that are looking towards skin care and what they can they do for their skin. You guys are probably less likely to fall into that trap of using too many products, with too many ingrdients and too many ingrdients, and too many chemicals than perhaps us women are. Certainly my mantras are simple is good and less is more when it comes to skin care which is probably music to your manness. Basic is definitely keep it simple, keep it basic. [00:12:00] There are two main things to aim for for you guys and for anyone, and that’s to simplify your regime and reduce your chemical exposure. When we do use less products with less ingredients, and we use them less often, our skin is better for it and added by [inaudible 00:12:09] less time in front of the mirror, which doesn’t mean that you guys can get away with doing nothing. We still need to cleanse once or twice a day with lukewarm water. That’s one of the things that we can over cleanse, that’s definitely possible to do. When you say cleanse for us, that would literally just be wash the face? No, for everyone I’m thinking because, Guy, clearly, we won’t go there. For everyone. For everyone, definitely cleanse once or twice a day with lukewarm water. You don’t want the water to be too hot because that’s going to really strip out the natural skin oils. It’s the same with food, you want your body to perform optimally, do what it needs to do all by itself, it’s really just about helping it along the way. It’s the same with skin care, you don’t want to overrule what your skin does naturally in terms of its natural functioning. It’s just about supporting the skin. The skin, it makes its own oil as sebum. It helps to protect our skin from allergens and irritants from the environment, from sun exposure, wind, cold air and that kind of things. It also helps to keep the moisture in. You want to do everything you can to support your body producing its own natural sebum. [00:14:00] Don’t wash it off, don’t get too in there with the scrub or anything like that. Once a day, twice a day at the most with warm water. If you do use a cleanser make sure it’s a really really gently one. We love Konjac sponges and microfiber cloths because you can wash them without having to use a cleanser at all. I see, because it seems that a lot of people with problem skin generally have access to really harsh cleansing ingredients that just strip you and make you feel red raw. I guess from what you’ve told us, perhaps not the right way to tackle this. [00:15:00] Yes, absolutely. After cleansing, you want to use a good moisturizer, something that does support your skin’s natural functionality. If you have stripped that, any of those oils inadvertently or it’s just your skin might not be producing as many oils as what it could be, use something that helps to replace those oils. For example, the Ecology creams that we have, they’re specifically designed to mimic the fats and oils that our skin produces naturally in those fats and oils that I found in healthy youthful skin. As we do get older our skin produces less of those oils, less of the sebum, so it’s helping to put back what time might be taking away. This is such a blog question, there are probably female listeners like, “Oh my God.” The body, you’re covered in skin, but would you treat the face differently to other areas of the body as the face could be more sensitive, or will you just use the same topical treatment afterwards? [00:16:00] There’s different trains of thought with that, and it really depends on if you do have sensitive skin like where your sensitivities are. It might be that you have skin issues elsewhere on your body and not on your face. The skin on the face can tend to be a little bit thinner, and it does absorb five to ten times more stuff than the skin on the rest of our body, so you do have to be more careful in terms of chemicals that are in your facial products as opposed to on the products you put on your body. Are there any particular ingredients that, much like food, we always say, “We’re gonna try to avoid gluten and sugar and processed food.” Are there any ingredients in our skin care products that we should absolutely be vigilant in avoiding? [00:17:00] Yes. Again, there are ingrdients that we should avoid, but it comes down to what your personal comfort level is with your chemical exposure. I’m not going to suggest that anyone should throw out their entire bathroom cup board based on listening to the podcast, but definitely have a think about it and investigate your skin care. The David Suzuki Foundation have put together a list of the dirty dozen ingrdients that might be hiding in your skin care products and I covered them all in detail in my book Natural Skin Care Secrets for Women with Sensitive Skin. It’s an eBook. You might think, “Wow, only 12?” That doesn’t sound like enough but these ingrdients, they’re in everything. A survey from the Environmental Working Group has found that on average woman use around 12 different products a day containing 168 different chemicals which is huge. For guys, even average guys that might not being a whole lot. Average men uses six products containing 85 ingrdients daily. The biggies that you want to look out for are your sodium lauryl sulfate preservatives like your [power bins 00:17:43], the words fragrance or parfum and your mineral oils as well. [00:18:00] Interesting that you said sodium lauryl sulfate because that’s one that I’ve researched years ago and realized it was in everything. It’s a foaming agent if I’m right. I’ve pulled that out of toothpaste, and soap, and stuff like that and it’s made a real difference in terms of irritability to the skin. Yes, I am avidly turning over those labels and now we’re starting to see stuff on the shelves that says SLS-free, things like that. Definitely good advice. I was going to add to that sodium lauryl sulfate is used in studies measuring irritancy because it it’s really irritating. It’s used as a yard stick to measure how irritating other ingrdients in the formulation are. Yes, that’s one to avoid for sure. Alcohol is in the lot, right? [00:19:00] Yes. Alcohol is another one because it can really strip out those skin’s natural oils. As a tip before you want to retain those natural oils as much as you can because then you don’t have to be trying to replace them with moisturizers and other products. Regarding the skin, in your opinion, do these chemical, can the skin absorb right through and into the bloodstream? Because I hear these different schools of thought around this. Do you remember the nicorette patches, nicotine replacement patches? Supposedly, if they advertise and it’s correct, you slap one of these things on your arm, and in 15 minutes you’ve got nicotine charging through veins. Is that true for skin care products? [00:20:00] It’s a great question. Probably as [inaudible 00:19:37] it doesn’t have a simple answer. There are stats around the internet, 6% of what we put in our skin it gets absorbed into our bodies, and that can take as little as 26 seconds for those chemicals to make it into the bloodstream. Perhaps those stats come from, nicotine patches, I don’t know. Those nicotine patches they are specifically designed to deliver those chemicals to the bloodstream. When it comes down to it, absorption can depend on quite a few different things. It depends on the size of the molecules and the ingrdients. Some molecules are simply too large to penetrate the skin. Collagen and anti-aging creams is a really really good example of that. That’s not going anywhere, that’s too large to actually penetrate into the skin and be absorbed. Also, it depends on how long the product stays on the skin for. We wash off, cleans as quite quickly, but moisturizers and deodorants they stay on the skin, so it’s even more important to look to the chemicals in those. [00:21:00] That’s a good point. I just think about it, skin is an organ, I’m going to treat it accordingly like it’s as simple as that. I do wonder, because when you have a hot shower the pores of your skin are fully open, and if you’re using some crappy shower gel, you’re inflaming the situation at that very point as well. I certainly don’t use them for sure. If your skin is wet it absorbs things more easily as well. That’s why dermatologist say moisturize straight after a shower or bath because that is when your skin can absorb more things from the moisturizer. That’s right, everything under the sun. You touched before, Crystal, on the way that you eat now and how that has had an impact not only your skin but your overall health. For anyone out there that has trouble skin, whether it be acne, eczema, whatever, doing everything they can from a cosmetic perspective, do you think that we can actually eat ourselves to better skin? [00:22:00] Absolutely, we definitely can. I don’t know where it came from but there’s a life quote, so maybe I’ll claim it for my own, “A healthy glow begins in the gut.” You are what you eat, and more importantly, you are what you absorb. Skin is the largest organ in the body, maybe apart from the gut itself, so it’s intimately connected with so many underlying processes that can really impact the skin like gut health, and [group 00:22:18] digestion, our hormonal responses, our blood sugar levels and our liver’s ability to detoxify is also really influences by systemic inflammation and our immune system by free radicals and oxidative stress. [00:23:00] When we foods that are highly processed and are high in sugar, it can totally throw our blood sugar balance out of whack and increase inflammation in the body which shows up on the skin in the form of skins issues like eczema or dermatitis and premature aging. When we eat those anti-inflammatory whole foods like your vegetables, meat, fish, fruit, eggs, that all works and ensures that you’re getting the nutrients into your body that supports those system, the gut, the liver. It also helps to build that healthy skin from the inside out. Are there any particular food types that you have seen to be more problematic than others for skin health? Yes. Like you said, dairy can be a big one for so many people. It knocked me sideways for sure. Sugar and processed food particularly your wheat-based products. I was going to ask about wheat. Gluten? Yes, that can be a big a issue for people. If I came up to you tomorrow and I had an eczema, and acne and I was so frustrated, and I said, “What would be the first thing I could try doing? I hadn’t looked at my diet, what would like be the first three things you’d ask him to eliminate? [00:24:00] Definitely pull out the wheat, gluten, processed food. Anything with sugar in it, your dairy, and any vegetable oils because of course they contain those inflammatory fats as well. Eating anything that’s got that balance of omega 3 to omega 6 is like a grass fed meat, or your fish, it’s going to be so much better for you than your vegetable oil. Cooking with more like ghee, tallow, your avocado oils and that kind of things. I’m sure most of the listeners have been in tuned to that kind of lifestyle by now. I remember when I used to work at the university there was a kid that was coming in, he was about 29 years, he was just head-to-toe in acne, it was really bad. 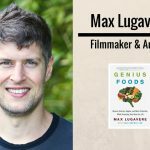 I literally said, “Try this, just try eliminating these foods.” It changed his life, like three months later he just become ravenous and the information he was sourcing and doing, and it cleaned up, and it was incredible. It’s pretty powerful stuff. It is, it’s fantastic. So many of us beat ourselves over the heads, buying more skin care products. When you can make these subtle changes to your diet they can have a really big impact. Yes, they can. Of course, if all of this is happening to you right now and you don’t know where to start, you’re putting skin care products on it, it could be exacerbating the problem, you’re not down in to your food, you’re going to be stressed. Stress in itself could potentially do more than all of the other stuff that you’re doing there. How do you think stress actually affect our skin health? What in your opinion can we do to manage this? [00:26:00] Stress affects everything, and even if you’ve got your skin care down and it was perfect, if you’ve got your diet down and then that’s perfect, if there’s such a thing as a perfect diet. Stress can pull all of it apart. For myself, about a year after starting to eat to that paleo template I started getting my eczema and my acne back again. I became really boated, food sensitivities and anxiety. It’s really frustrating because I’m thinking, “I’m eating the best diet in the world so what’s going on?” It was stress. Stress process your stomach acid, leads to overgrowth of gut bacteria, weakens the gut lining, and it can show up on the skin as inflammation. We have an abundance of immune cells and inflammatory cells in the skin that respond to stress and inflammation on the inside. Do you have any stress management techniques that you incorporate to cope with it better? Yes, absolutely. I’ve got a whole plethora of things, pull in depending on what I’ve time-wise or anything like that. What do you do if let’s say you’ve got 10 minutes only? What do you do? In 10 minutes, I’m a big fan of a mindful pause. It doesn’t have to be long, that’s the whole thing with it because we spend so much time stuck in our heads dwelling on the past and listening to that inner critic. Our thoughts are a massive source of stress for us. Mindful pause is just about stopping and mindfully tuning in to your senses, to what’s going on around, to what you can see, what you can hear, what you can feel, what you can taste, what you can smell. Just to get it out of your head and back into your body. That’s just something really really simple, you don’t have to be a meditation master or anything like that, just to stop and take a mindful pause. Interesting. You’d sit down, make yourself comfortable, perhaps close your eyes and just listen and zone out? Be present. We had Jason Wachob from MindBodyGreen on in the last show, and that guy would clearly have stressful situation. I think he he’s got 35 staff or something. He said he just breath in for two, and out for four. He does that for a few minutes, when he can feel like coming up and he just stop and become present. It helps. Great tips. That’s another fantastic thing you can do, if you’re not going to tune in to your sense it’s just to focus on your breath and to notice it coming into your body and notice it going out of your body. That’s something you can really, once again, focus you on something that’s going on in the body and get you out of your head. Do you meditate? Just out of curiosity. I do. It’s one of the things that I do try and do everyday. Sometimes it doesn’t always workout that way, but, yes, I do. I seem to be asking most guest that question, it comes up somewhere. A high majority mediate and it was just interesting. Sunshine and skin. What are your thoughts? Sunshine is super important for our skin. We need sunlight to convert cholesterol into vitamin D in our skin. Vitamin D is a super anti-inflammatory, super important for our health and immunity, and most of us don’t make enough of it. I think Stu, you might have eluded to … When you are noticing the changes in your skin that you were spending more time in the sun. I think, Guy, you might have said something about your skin is more tolerant now to the sun. 100%. Since I’ve changed my diet, I’m eating more fat and I get more sunshine. I’m selective when I go out in the sun because it’s pretty strong, I’m being welch. You just go out in midnight do you? That’s one of the things. When we are eating a high fat diet our skin is more tolerant to the sun. Sunshine makes you happy, it boost out our mood, our happy hormones, which, again, is great for the skin because if you are highly stressed or an anxious kind of person and it does reflect on your skin, the more things you can do that help to boost your mood and make you happy, the better. There’s a massive paranoia about the sun in Australia that I think personally from what I can see. First question would be do you use sunscreen yourself? On what times of the day would you go out in the sun and how would you approach it for skin care and health? [00:31:00] I do use sunscreen on my face. I’m really lucky I’ve got to [inaudible 00:30:51] tiny little bit of [merry blood 00:30:52] in me so I do tan rather than burn. I will use sunscreen on my face but I do prefer to use hats and sunglasses and that kind of thing as well. In terms of what time to be out in the sun, mid day is actually a great time to be out in the sun. It goes totally against other advice that we’ve heard. There’s this two wavelengths of light that can be problematic for the skin, UVI and UVB. Mid day you’re getting a balance of both of them, where as later on in the afternoon you’re getting more of the damaging, sort of again you’ve light. I did a podcast recently with Dr. Anastasia Boulais and she talked about sun health and how to be safe in the sun. She explained a lot of those stuff. I’ll give you guys a link for that because that’s a really a good one for people to follow up on if they’re interested. [00:32:00] The rise that can be damaging, the one that cause oxidation and DNA damage if we’re not careful. Some of the things that you can do to protect yourself as we spoke about before, eat good fats and make sure you’re eating lots of veggies and fruits that are high in antioxidants to help protect your skin and to make it more resilient to that sun exposure. It’s so important, absolutely. We’re in this fantastic country where we are blessed with so much sunshine. There’s always a worry, slip, slop, slap and completely protect yourself, cover yourself, but then of course we’re vitamin D deficient and that comes with a whole host of problems in itself. I wanted to get a little bit personal now. Clearly you are the skin expert, you know a whole heap of stuff that we don’t know that we’d love to share. Your personal skin care routine, can you just walk us through that please. [00:33:00] My skin care routine, it is very simple. As I mentioned before, I do have that salicylate sensitivity, so it’s a lot simpler than what many people skin care regimes would be. I’ll just put that little caveat on it. I do shower with a salicylate-friendly goat’s milk soap, one that my mom makes. I have a shower filter on my shower that helps to remove chlorine in water because that can be really irritating for sensitive skin, or for eczema. A lot of people find that if they do put a shower filter on it can really reduce the symptoms of skin issues. [00:34:00] I get seborrheic dermatitis, so when I do cleanse I use a solution of dead sea salt. I dissolve it on warm water and it works brilliantly. I’m getting some really great feedback from customers who has rosacea that are using it as well so I think there’d be a new product coming through soon for that. Sometimes I’ll use a facial Konjac sponges, so they’re great for removing blackheads, great for cleansing without using extra products. Sometimes I’ll spray my face with a probiotic solution so that helps to re-balance the beneficial skin microbes. I haven’t heard that before. I have to try that. What about things like skin brushes and things that remove the surface of the skin, is that something people should be doing or is it too harsh for the skin? It comes down to personal preference and also age fairly enough. If we’re younger our skin cells turn over every 28 days, so we don’t need to scrub as often as what we think we do. I wouldn’t scrub more than twice a week. I don’t scrub because my skin is just too sensitive, it won’t cope with it. You can get away with scrubbing a couple of times a week. [00:35:00] When we are older, when we’re sort of getting into the 40’s or 50’s, that skin cell regeneration slows down, it slows down to I think it’s around 35, 40, 40 days it takes for skin cells to turn over. That’s when you might benefit from using a scrub to help those skin cells break of and new lovely skin cells to come up. You mentioned you had a salicylate sensitivity. I wondered if you could just tell us a little bit more about that please. [00:36:00] There is actually a fairly high correlation for people with eczema in particular and salicylate sensitivity, so it’s something to investigate if you’ve exhausted a lot of other things. Salicylate, essentially they’re chemicals in food mainly, that are particularly protective for the plants themselves. For example, let’s say kale for example, kale is pretty high in salicylate and it produces these chemical to protect itself from pests and from diseases. Organic kale is going to be higher in salicylates than conventionally grown kale because conventionally grown kale gets sprayed so it doesn’t need to worry so much about producing as many salicylates. For people that have particular sensitivity, if your bucket gets too high, if you’ve eaten too many foods that are high in salicylate it can overflow and can get a lot of symptoms like skin issues, and breathlessness and that kind. Kale as an example, wonderfully nutritious food. If we wanted to reduce the issues that came up with kale, could we boil the kale, could we break down those salicylates or do we need to avoid it completely? [00:37:00] That’s a good question because there are foods like eggs for example, like softly pouched eggs, or kale lower end of the spectrum, and eggs in a quiche, or scrambled eggs were a little bit higher on the spectrum. Bananas are lower in salicylate when they’re greener and higher in histamines when they’re riper. In terms of cooking the food, I don’t think that makes a huge difference unless it’s something like eggs. I see. Probably a little bit of trial and error, see what’s works for you over the course of time? I had a question, completely off topic, but a thought just popped in there. It does. Infrared saunas. Are there any benefits of using them for the skin? To be honest, I’m intensely curious about infrared saunas but I haven’t actually been in one as yet so it’s not something I’ve looked into in any great degree. I have heard that they are beneficial for people with skin issues but I can’t answer with any more authority on that. That fine. I’m curious too. Just wondering how to put it out there. You’re going to write a daily sauna to your mindfulness practices are you mate because you’re not going to have any time to do any work. [inaudible 00:38:02] around his house in his Ugg boots meditating while he just crawled out the sauna. Very good. I wanted to talk a little bit Crystal about exercise. In terms of improving our skin skin health, do you think that getting out there treading the streets, or lifting weights, or doing high intensity stuff, all that kinds of stuff, getting the blood flow and moving, is that beneficial for good skin? [00:39:00] Absolutely, because the more you get the blood flow moving, the more oxygen and nutrients can come to the surface of the skin. That’s what we need to … Of course when we’re exercising as well we’re producing more happy hormones, endorphins and serotonin, and that helps us feel better, takes our mind off of the things that are stressing us out. Exercise helps to burn through those stress hormones as well and I guess it’s important to just to make sure you’re not overdoing the exercise as with many things, you don’t want to be adding to the stress load on your body. What would you do for exercise for instance? I’m a big fan of kickboxing. I used to do it when I was younger and I’m just getting back into it now. I love it, it helps me to get out that kind of inner aggression and burn through some of those stress hormones. I love kickboxing. I also walk. We live down in the Mornington Peninsula, it was absolutely beautiful down here. We love a good walk on the beach or in the bush. Maybe apart from that I’m a big fan of a happy dance, so I just breaking out randomly into a happy dance and air punches and air kicks. It’s amazing what that does to your mood and it just puts a smile on the face. It sound like it might suit you quite well Guy, a happy dance. I was thinking the same for you, we can actually do a happy dance routine before very podcast. Exactly. I’ll certainly put that on my list of things that I will consider at some stage in my life. Like us Crystal, you’re in the airwaves, podcasting and digging deep in all the good stuff. I wonder if you could just tell us a little bit about your podcast. Yes. I have two podcast. The first one is the Primal Shift and it’s one that I co-host with Jo Fitton. We’ve been doing it for, it’s been over three years now. We talk about how we can shift the way that we eat, sleep, move, think, play and relax, so that’s more in alignment with what our [audience 00:40:47] expect of us. 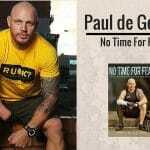 Really similar topics to what you guy talk about on 180 Nutrition. [00:41:00] The second one that I do is called the Mind Body Beauty Show. That’s on youtube as well as on iTunes. It’s for anyone that wants to have a really happy, healthy skin, so you’ll be happy and healthy on the inside as well as in the outside. A little bit like what you guys do. 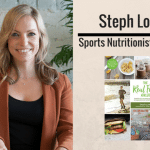 We’ll put a links to that in the show notes as well and keen to get as many listeners on this journey as possible because we know what it can do to our health well-being and the big picture definitely. Crystal, we have a couple of questions we wrap the show up on every week. First, what are your daily non-negotiable practices? [00:42:00] That’s a tough one. I don’t have any real non-negotiables, everything is pretty fluid. I pick up whatever practices I need at the time. I do try to walk and meditate most days. It doesn’t always come off as planned. I’m always really conscious of maximizing my sleep. I try to go to bed at a reasonable hours and I wear the funky/weird [inaudible 00:42:10] glasses at night time. Lit with salt lamps after a certain hour, but just sort of descending into the [inaudible 00:42:21] now. Now I’ve heard it all Stu, especially on the sleep. Any others? Sleep, meditation and a walk. [00:43:00] As I said, things that I feel like fluid on a daily basis depending on what I need. I try to sit while I eat. That’s such a simple thing but when I was pharmaceutical repping I sued to eat in the car driving between doctor’s appointments, and it was the worst thing I could do for my digestion. Now, I will take my lunch and I will sit outside, take the shoes off, shoes and socks, the whole works, get the bare feet on the ground, and I’ll just take that time out to eat and focus on what I’m eating. That’s great advice because everything is … It’s like just bringing it back to being present isn’t it? You can walk and appreciate the surroundings, meditate. Eat slowly. Disconnect for five minutes or whatever it may be. [inaudible 00:43:25] decide to do. The last question, what’s the best piece of advice you’ve ever been given? [00:44:00] I don’t know if it’s a tell on the advice or the tell on me, but the best piece of advice I’ve ever been given, I still struggle to do, is the one that I keep coming back to. It’s one that you and I spoke about Guy the other day, and that’s to keep things simple. Often try to over complicate things and make them harder than what they need to be. That’s something I continually have to keep reminding myself or I’ve been coming back to. The other one is to go for progress not perfection. The Kaizen, model of continuous improvement. That’s another thing that I struggle with. I’m a bit of a perfectionist at heart, so it’s something that I have to always be working on to let go of that. Great stuff. Working with Stu I hear the perfectionist part. You’re so right. You’d never do anything if you were so doiled into perfection. You do have to, at some stage pull back a little bit and just release it and see what happens, and then we can fine tune in a later date. Definitely. Just get on to it. What does the future hold for you Crystal? Anything exciting coming up? Yes, absolutely. We’ve got some really exciting new products that we’ll be launching really soon. We’ve been working over the last six months with Chef Pete Evans developing two new daily moisturizers, one for him and one for her. Like original Ecology creams, both the new ones are based on grass-fed organic tallow. It’s like any oil but it comes from healthy grass-fed cows. Because it really closely mimics the fat and oils found naturally in our skin and in healthy youthful skin, it leaves your skin feeling really soft and silky smooth. It’s great for people that have sensitive skin or skin issues because it’s helping to replace any of those missing components in the skin’s barrier functions. Really excited. When will we see that on the shows? [00:46:00] We’ll be taking pre-order from first of June. It should be be on the shelves first of July or things go into plan. 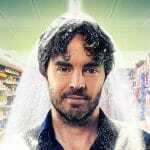 For anyone listening to this podcast after first of July, take a look, you should see what’s it about. Knock yourself out, brilliant. For anyone listening to us, where’s the best place to go to find out more information, and if somebody get in contact with you. You can find myself and of course all of our products at ecologyskincare.com. We’re on youtube, Facebook, Instagram at ecology skin care, and on iTunes with Mind Body Beauty and the Primal Shift. Of course we’ve got show notes at the primalshift.com.au as well. Clearly you’re keeping yourself very busy Crystal. Thank you so much for allowing us to pick your brains and all things skin care. It was been fantastic and really looking forward to sharing this across our audience as well. Thank you so much guys for having me on. No worries. Speak to you soon. 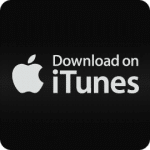 Fantastic podcast – thank you! Skin care is so bloody confusing!!! like Stu, I was on antibiotics to clear my acne both topical on my face and through tablets + retin A cream. Whilst I saw some amount of improvement, I still have pimples (particularly in stressful times) & i noticed my gut health deteriorated…. Such a significant point you make about being focused on having a ‘clean diet’ and exercise but forgetting about the chemicals I am topically putting on my skin!